The idea of launching a business could be overwhelming for any aspiring entrepreneur. You can easily get thrilled about different business stages and processes—from planning to marketing and promotion. While it is exciting, you should also recognize the fact that starting a business involves taking risks. Part of this is making financial decisions that could either make or break your company. 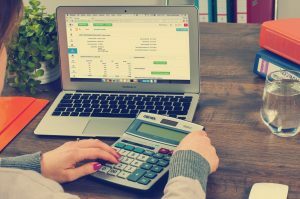 Budget planning is crucial when starting a business, so not having a clear budget is one of the major financial pitfalls that you must avoid. From the get-go, it’s important that you assess your finances, determine what you can and cannot spend every month, and set a realistic budget. A carefully planned budget for all your expenses serves as your guide to business growth. As a business owner, your initial funding and cash reserves could come from your personal savings, financial assistance from family and friends, and loans. Lacking adequate savings would be a big mistake. We’re all familiar with the phrase, “save something for a rainy day.” It pays to have an adequate rainy-day fund to ensure that your business continues operations in case an unexpected or a challenging situation happens. It’s understandable if you get very enthusiastic about your newly-launched business. You’ll probably want to buy new and more advanced tools and spend on parties or frequent team lunch outs. Don’t get too carried away, though. It’s great to be positive and think that you’ll generate tons of sales and profits in the future. But don’t spend what isn’t there yet. Never make huge, immediate, and unnecessary purchases and acquire too much debt if your business is still at its infantile stage. Legal matters like taxes are part of your business operations, regardless of its type and size, and therefore should be planned. Neglecting tax planning is a big mistake. Make sure that you pay attention to and manage your business tax obligations to legally reduce your tax liability and save money in the long run. Avoid skimping on an accountant. Of course, you must be financially knowledgeable as the business owner. However, it’s best if you hire an expert who can give you sound recommendations about allocating your resources and dealing with financial issues. With a good accountant on your payroll, you can make better decisions for your business. Starting a business involves important financial matters. Avoid the mistakes mentioned to gain more and minimize losses. Make sure that you are on top of your finances and see your business grow and thrive.